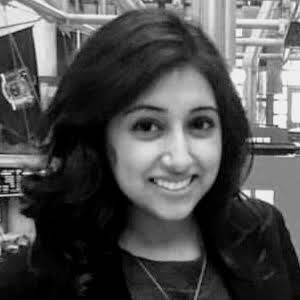 Krishna Thakker is an associate editor for Grocery Dive. She received her BA in journalism and mass communications from the University of South Carolina in Columbia where she was born, bred, and learned how to throw a mean tailgate. She's had previous gigs in business news in New York City, her first love, and now covers the grocery industry. You can find her exploring D.C.with friends, swinging a golf club, or fulfilling her shopping addiction. Can Kroger make money selling tech to other retailers? How can AI and data help retailers personalize the grocery experience? Could Raley's start a trend in e-commerce marketing? Hershey shares digital growth strategy, but is action coming soon? How will Gen Z's educated consumers impact food and grocery? Are meat companies giving shoppers too much information? Could Albertsons' purchase of Rite Aid fall apart?